Arlene A. Griep went to heaven peacefully on Sunday, April 7, 2019. She was born in Kekoskee the daughter of Gilbert and Marie (Noll) Wild. Arlene married the boy next door, Vern Griep. They were happily married for over 50 plus years. Arlene owned and operated the Village grocery store in Kekoskee in the early 60's. She also helped her husband with the monument business in Fond du Lac. She was a member of St. Mary Catholic Church, the Christian Women and the Mayville American Legion Auxiliary, and in her younger years the Horicon Marsh Bowman's Club. Arlene also did a lot of volunteer work in the community. 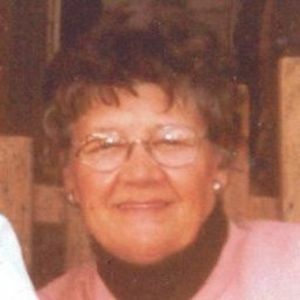 She enjoyed family outings to the Brewer games, fishing, hunting, playing cribbage, making baskets and just sitting with all the family at her home on Lake Winnebago. Mom is joined in heaven with her husband Vern, her brothers Jerry Wild, Francis Wild and sister Mary Hoffman, sisters-in-law Kathy Wild and Lenore Wild. A memorial gathering for Arlene will be held on Sunday, April 14, 2019 from 2:30 p.m. until 4:00 p.m. at the Koepsell Funeral Home in Mayville. A memorial service will follow at 4:00 p.m. with the Rev. Father Tom Biersack officiating. Inurnment will be at St. Mary Catholic Cemetery in Mayville. The family would like to thank the staff at Prairie Ridge Assisted Living Mayville and to Generations Home Care and Hospice for the wonderful care Arlene received. They are truly a great group of people.